The first trade collecting some of the older Lady Death comics. 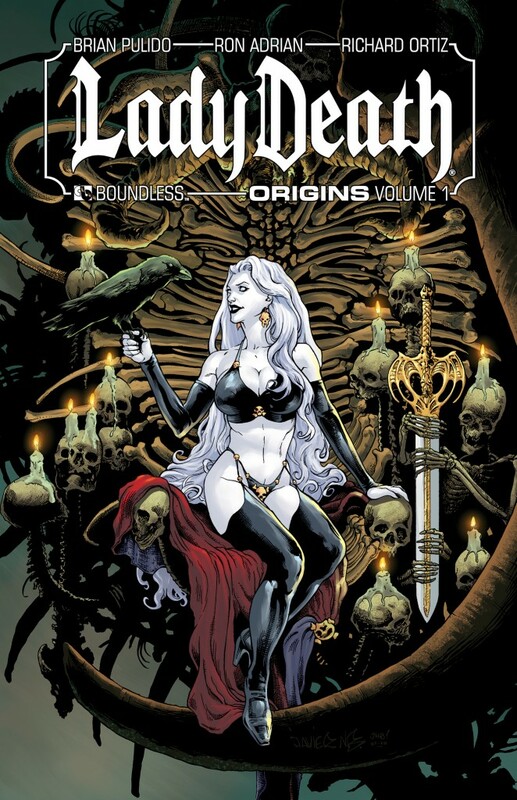 Who is Lady Death? Well, this pretty much explains that, whilst providing a lot of scantily-clad drawings of the protagonist along with gory fight scenes full of heads getting chopped off by swords. This is all pretty "meh". When you think of a comic that is guilty pleasure for people, this probably comes to mind. It's full of almost-naked women, it has a lot of blood and guts, its kind of silly and absurd, and generally is just not something you would read in public. Basically a girl named Hope AKA Lady Death is trying to save her mother from an evil man-monster named Sagos with the help of some companions. They travel around, fight people, and otherwise nothing too interesting happens. 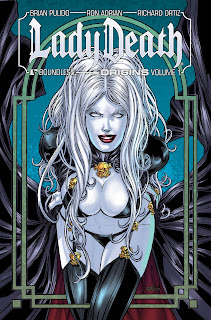 There is also a side-story of a witch using her powers to put Lady Death through various near-death experiences and Lady Death punishes her for this by...spanking her. Seriously. At least everyone is (barely) clothed throughout this comic so I don't feel too dirty reading it. I wonder what they are emphasizing. This isn't that great a comic, but it isn't terrible. The plot is basic sword and sorcery, the art is kind of pretty if a bit too dedicated to suggestive poses or violent decapitations, and I wasn't outright bored when reading this; I just didn't enjoy it that much. If you want some mindless entertainment I suppose you could check it out and could do worse, but it just isn't particularly amazing. 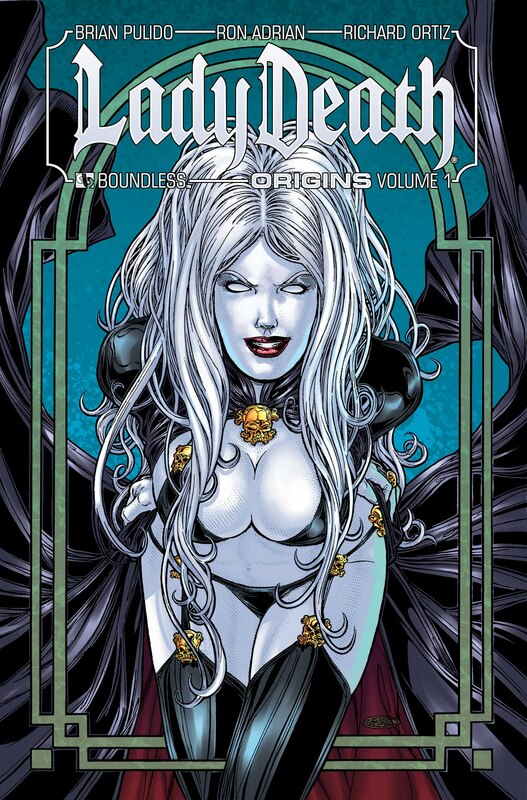 I guess Lady Death just isn't for me. 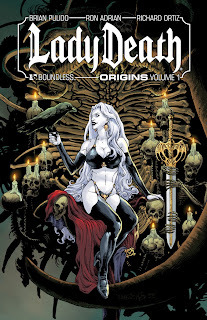 Lady Death: Origins Volume 1 if for some reason you desire it.